THE LOST BOYS TRILOGY by LILIAN CARMINE. PUBLISHED BY RANDOM HOUSE. The TLB Trilogy is Young Adult/Romance/Fiction novel about love, supernatural, music and friendship. Meet Joe Gray and her boys, while she embarks in the adventure of her lifetime! Orignally posted at Wattpad in 2010, The Lost Boys had over 34 million reads online at Wattpad when it was picked by Random House in 2012 for publishing. Book 1 of the trilogy: available for sale. Synopsis: ‘Fate has brought them together. But will it also keep them apart? 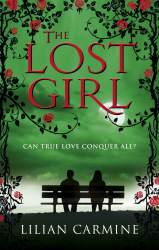 Perfect for fans of Romance and Supernatural, The Lost Boys is a magical, romantic tale of girl meets ghost. Click here for LINKS & TIPS on how to buy the books! Book 2 of the trilogy. available for sale. Synopsis: ”The second book of the trilogy continues with Joe Gray in another adventure full of magic. After falling in love with a ghost, Joey has succeeded in saving her boyfriend from Death, not once but twice. Now she’s back and on Tour with her Lost Boys! Between shows, interviews and promo events, Joey will have to deal with yet another magical rumpus: A mysterious and horrifying creature that begins stalking her. In the middle of all this danger, she will also have to face a new problem in her relationship with Tristan. Will Joey make it? Or it will break her? 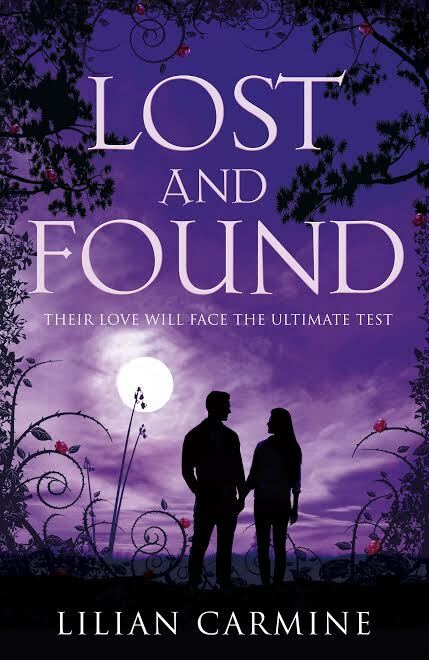 Can Tristan save her before it’s too late? Book 3 of the trilogy. book release in April, 28th of 2015. Synopsis: ‘ Under the guise of going to a private retreat to write a new album with the Lost Boys, Joey is actually attending a witch Gathering and returning to her witchcraft apprenticeship. However, she has a hidden agenda — seeking clues as to who her father was and his links to her own magic. Available for pre-order at The Book Depository, Amazon and Random House website. (book #4) Coming soon! To be released! A Short Story for for The BirdLife Campaign organized by Margaret Atwood and Wattpad. Dedicated to Forbes’s Blackbird, short story written by Lilian Carmine. 2013. Read for free at Wattpad! Link below. Emilia Atkins is dead set on staying as far away from boys as she can. She has a happy life taking care of stray cats, working on a Pet store and saving as many injured animals she can get her hands on. There’s only one thing Mia wasn’t counting on: to be forced to help an impetuous, stubborn, black cat with an attitude and a mean disposition to recover from an accident she might have been responsible for. ‘Lucky’ for her, that black cat isn’t only trouble. He also has a bag full of tricks and will surprise her in more ways than she could ever imagine. AVAILABLE NOW ON AMAZON in EBOOK (KINDLE) and PAPERBACK!